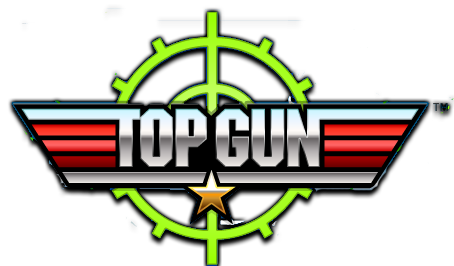 Ride into the Danger Zone with Top Gun, PartyCasino's latest 20-line slot game based on the classic Hollywood hit movie Top Gun. 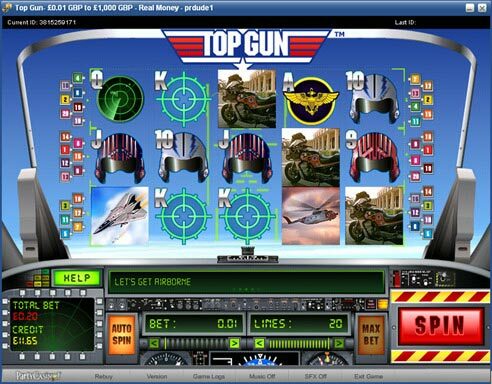 Download PartyCasino software and experience a highway to the danger zone as a fighter Ace pilot. With a double points promotion running you will be rewarded with twice the amount of regular PartyPoints while playing Top Gun. Rev up your engine and win a share of the $1 million that PartyCasino slots pay out daily use our PartyCasino bonus code and get even more bang for your buck. Top Gun Slot is PartyCasino's latest 5 reel, 20 paylines slot game that features free spins plus a bonus stage where you can win extra prizes. . 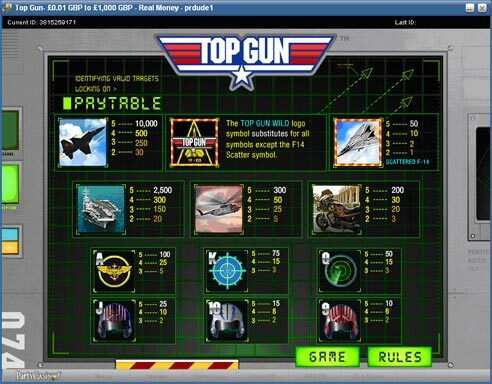 When 3 or more F14 Scattered on the reels the Top Gun bonus game is activated. Top Gun feature game does not activate during Free Spins. The Free Spin feature is randomly set off and a Fighter Jet will fly across the reels. PartyCasino offer players a choice of several sign up bonuses in various currency’s including US$ Euros and Pounds. 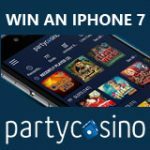 PartyCasino can be played in the currency of your preference. 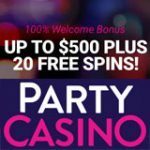 $25 Bonus PartyCasino Bonus code: EXTRA25-$25 Extra on First Deposit $25 extra bonus when you makes a minimum deposit of $50 at sign up. 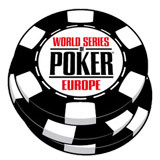 This bonus is for PartyPoker, PartyGammon, PartyBets, PartyCasino and PartyBingo. 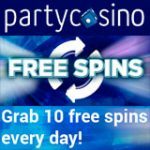 30% - $150 PartyCasino Bonus: PCBONUS - 30% up to $150 Extra On First Deposit 30% up to $150 extra bonus. This bonus is for PartyPoker, PartyGammon, PartyBets, PartyCasino and PartyBingo. 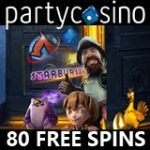 100% -$500 Bonus code PartyCasino : CODEBONUS - 100% up to $500 extra on First deposit for PartyCasino only. 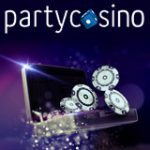 Euros Bonus code for PartyCasino EUR: PCWAP 100% up to €500 Extra on First deposit for PartyCasino only. 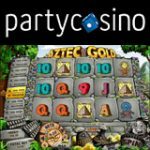 Party Casino Bonus code for GBP: GBPARTY -100% up to £500 Extra on First deposit for PartyCasino only. Top Gun © 2008 Paramount Pictures. All Rights Reserved.